The Doubtful Sounds are true to their guitar pop roots, with good melodies, strong leading harmonies and an ever present rhythm that proves to be the foundation of the band. Sure, they attempt a little bit of shoe-gazing, but this is only to bring greater breadth to their repertoire with well crafted chord changes and some unexpected twists. Matt and James carry a strong understanding of their Flying Nun laden history with them on their journey, yet they don’t let that weigh them down. Instead it’s simply a building block to which they add a dynamic depth that might be more associated with ‘The Lucksmiths’ (Australia), ‘Math and Physics Club’ (USA), ‘Frightened Rabbit’ or ‘Broken Records’ (both of Scotland). 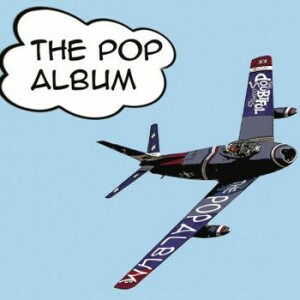 Long in the making, ‘The Pop Album’ their 2012 debut album and sets them clearly on their course. In preparation for ‘The Pop Album’, James (based in Wellington) brought songs steeped in Mutton Bird-esque storytelling (Colonel, Arctic Ocean) while Matt (based in Auckland) lends songs reflecting feelings of love, loss and hope (She Swoons, I’m Running, Sleep). When they collaborate, the best in both comes out – Red Sky, Good Keen Kiwi and No 1 Line (more a poetic tapestry than a song). Pebbler Records UK said: Names like The Clean, The Bats or Tall Dwarfs still have a very good reputation today. the Doubtful Sounds are from Auckland/NZ and play their jingle-jangle sound which reminds me on the good old Flying Nun days. This new Edition 59 release is pure Independent Pop. Vollwert-Records Berlin said: A wonderful 6-track EP by The Doubtful Sounds from New Zealand which reminds us on the good times with Flying Nun Records in the 80s.